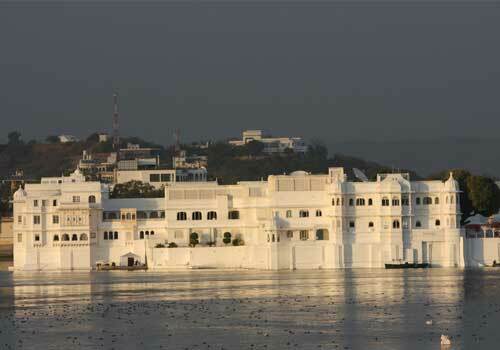 Udaipur – the ‘City of Lakes’ – is one of Rajasthan’s largest cities, with a colourful and rich history. The former capital under the rule of MaharanaUdai Singh II of Mewar stands testimony to the glory of the Rajputs, thanks to its architecture, art, and culture. Places to visit in Udaipur include stately citadels, ancient temples, and pristine lakes that reflect its vibrant past. 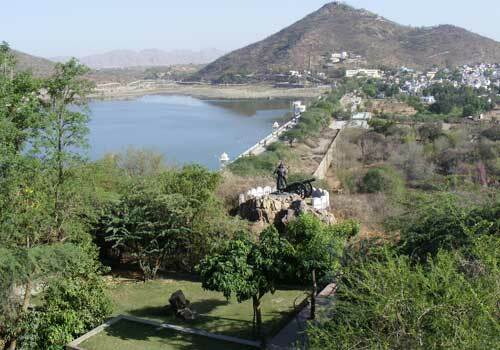 However, hidden beneath these tourist places in Udaipur is the subtle yet engaging culture of the city. People who ask for directions around the old city are asked to follow the famous wall paintings that adorn the narrow lanes. These paintings instantly take you back to the city’s illustrious past with their depiction of Rajputana influence. The Rama Gallery, Bougainvillea and other old galleries spread across the city offer a deeper insight into the region’s art, from Rajasthan’s miniature art to Udaipur’s trademark street art. This popular tourist spot is India’s largest aquarium and is located near Vibhuti Park. It is praised for its natural lighting and a long gallery of small and large tanks housing a collection of exotic fish. Don’t forget to check out the touch pool; you can feed the fish here! The aquarium also boasts of the world’s first aqua trick art museum. The child-friendly environment makes it the perfect place to hang out while on a family vacation. Once the organised Udaipur sightseeing tours have ended, the city palace administration organises an after-dark light-and-sound show at ManekChowk located inside the sprawling compound. This private show is narrated by Shriji Arvind Singh Mewar and takes you on a journey through the city’s 1500-year-old history. The incredible ambience and great voice acting make this a must-have experience for tourists. Located on an island, Udaipur’s solar observatory is considered one of the best in Asia. It functions as an educational institution for research scholars and PhD students. The site is open to tourists in June and July and must be reached by boat. The Crystal Gallery of Udaipur houses MaharanaSajjan Singh’s dream collection. Unfortunately, he could not enjoy the display due to his untimely death. The incredible artefacts were ordered from England’s F&C Osler & Co. in 1877; the collection also includes some exquisite items of furniture. When on your family vacation to Udaipur, look no further than Club Mahindra Udaipur Resort – it offers you some much-needed tranquility and a window into the culture of this ancient city. With a Club Mahindra membership, you are assured of a royal stay. Enjoy modern amenities and exciting activities such as zorbing, cooking classes, pottery, and cultural performances. Check out Club Mahindra reviews online to know more about the hidden gems of Udaipur as you get set to explore this beautiful city! This entry was posted in Udaipur. Bookmark the permalink.